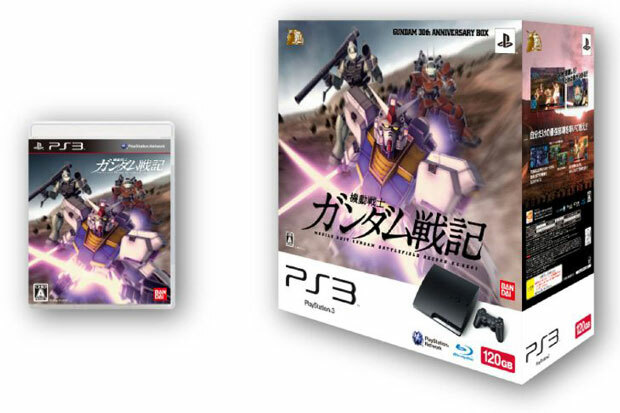 Sony loves them some bundle packs and the Gundam franchise will be the first to grace the box of a PS3 Slim. The Japanese only box will include Kidou Senshi Gundam Senki and will save gamers a few yen. But the pack also includes product codes for FA-78-3 Full Armor Gundam and RX-81AS Assault Armor DLC packs, and an original HD animated Gundam film. The bundle will be available on September 3rd along with standard PS3 Slim. It’s priced at 38, 359 Yen, which is just 50 Yen less than the cost of the console and game separately. That’s only about 53 cents, btw. But hey, if you’re a Gundam fan, and you know who you are, the box is probably what you’re after anyway to be displayed along with your collectible action figures. Maybe you can make a nice doll house out of it. That would be cool. Just ask your mom if you can use the scissors first.